If you aspire to be a Cinematographer or Director of Photography then your journey starts within the camera department. The camera department can be one of the most dynamic, exciting and highly attractive departments to work in, with the competition being second to none. You’re slap bang in front of the action that is unravelling in front of you, so it is no surprise that you are considering it as the desired career path. The department consists of a variety of different positions from entry-level roles to senior positions so the option of starting from the bottom and working your way up is more than encouraged. 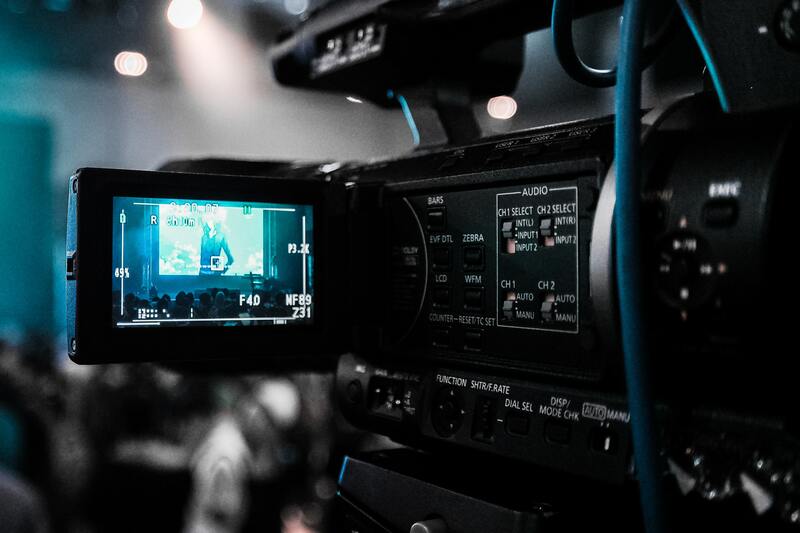 Are you at the very beginning of your research phase and unsure of how to get your foot in the door as a camera trainee, combined with a clouded view of what the career path holds? Then you have come to the right place, we have put together the main job titles and their descriptions found in the camera department, to give you a better understanding. What are the responsibilities of a camera trainee? As the camera trainee, you will work closely with and take instructions from the second assistant (2nd AC) who will be the person who passes down their nuggets of knowledge and skills. Listen and take advice from them as they were once in your position so they know exactly what you’re going through. As your mentor, their guidance will help you become settled and establish yourself well within the department. The most important overarching task is to help and support the camera team as much as you can, ‘i can’t help with that’ should never be a heard on set. How do I become a camera trainee? Research and develop your knowledge: a basic understanding of camera and lighting paired with an undeniable passion and enthusiasm for film can pave the way into becoming a camera trainee. Student productions: showing that you have gained experience and initiative by working on short films and small student productions can go a long way. It’s also a great way to network and meet likeminded individuals. Training: the National Film and Television School is a great example of short courses that are available to you, taught by experienced tutors currently working in film and TV. Covering courses from camera assisting to camera familiarisation. Bachelors degree: doing a degree in a subject relevant to cinematography will provide you with all of the fundamental skills needed, as well as potential and highly valuable work experience. Once you have gained the relevant skills and experience to become a camera trainee the next step is to start applying! Stage 1: Put together a CV that you’re proud of. Showcase any qualifications, skills and experiences you have gained through working on student productions or short films. Label your CV as camera trainee. Stage 2: Start applying for camera assistant positions or jobs as a runner within a variety of different productions such as commercials, features or TV. Stage 3: Once you’ve gained around 2 years experience it would be time to retitle your CV and apply for second assistant (2nd AC) positions. By this stage you would have made contacts within the industry and learnt new skills, your CV will now be strong enough to process onto the next stage. What is the Career path for a Camera Trainee? How far you take your career within the camera department is entirely up to you, some people stay as a first assistant (1st AC) and just become senior within the role, as someone with years of experience of that specialism under their belt is invaluable within the department and highly respected. However, if you want to work your way up the metaphorical ladder then here is the career progression that is available to you. As well as being a mentor for the camera trainee, the second assistant, also known as a clapper loader, is responsible for loading the raw film stack into camera magazines, operating the clapper board at the start of each take, marking the actors and they look after any paperwork or records for the camera department, just to name a few. As the next progressional step from being a second assistant, the focus puller, also known as the first assistant is sometimes considered as one of the most difficult jobs on set. You are responsible for maintaining image sharpness and focus on the scene or object that is being filmed at the time. A good focus puller needs outstanding knowledge of cinematography and optical theory. Whilst a fair few camera operators have a degree, it is far more important to have the experience from the positions above, as you’ve not only learnt most of the skills but you’ll have a showreel to back up and demonstrate your passion. As the camera operator, you will have complete control over digital, electronic and film cameras, to produce shots that combine the technical side with the creative visual skills that you have. Whether that be in TV, film, documentaries, dramas or commercials. You will have assistance from the camera trainee, camera assistant whilst working below (and alongside) the director of photography. Take a look at our camera operator jobs we currently have available. As a camera trainee, this is usually the desired position, the role that you have been working your way up to. As the director of photography, also known as the cinematographer, you’ll be in charge of the camera department, you’ll work alongside the director to assist him in the visual look of the production through technical and creative skills, from pre-production to post-production. You will have a broad and extensive knowledge of all elements within the camera department. If a career within the camera department is for you, then look no further than The Mandy Network, sign up and browse our current camera trainee jobs we have available.